From Parsley's new Fall Collection, this dashing necktie is the perfect cold weather accessory. 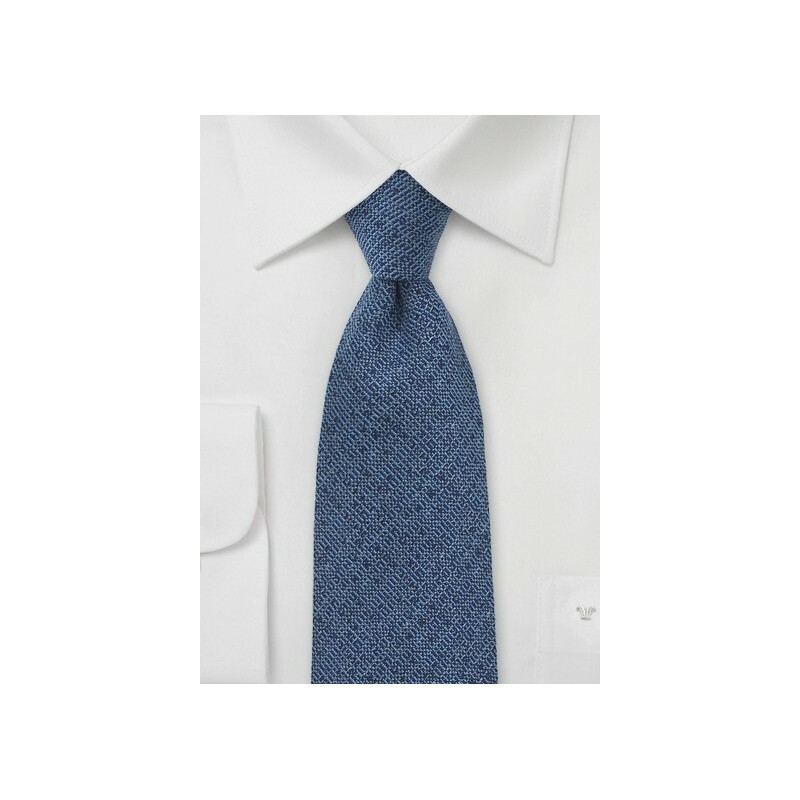 Made from a luxurious blend of wool and silk, this piece is handwoven on a jacquard loom in a barleycorn weave with cobalt blue, navy, and gray threads for a complex texture. 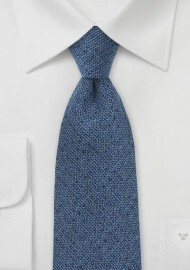 Wear this necktie with a white collared shirt and gray vest for a stunning workplace ensemble. Handmade from 80% raw silk and 20% merino wool.